Advances in flash storage present opportunities for organizations to optimize Oracle infrastructure and cut license and maintenance costs. Because Oracle licenses its database on a per core basis, and the majority of total spend goes to Oracle licenses and maintenance. By increasing processor memory sizes and balancing CPU and flash configurations, practitioners have an opportunity to lower latency and cut overall expenditures. One of the most frequent complaints from Wikibon community practitioners is being gouged by Oracle on license and maintenance fees. Despite budgetary pressures facing our users, organizations continue to rely on Oracle for their most mission critical workloads. Nearly 24 months ago we decided to help our community think through negotiation options and find ways to improve leverage with Oracle. We published a report on Oracle Negotiation Myths with strategies for success in getting more out of your Oracle contracts. The technical angle of that piece focused on virtualization generally and using VMware specifically to both cut Oracle infrastructure costs and using VMware as leverage in Oracle transactions. See Damn the Torpedoes: Virtualize Oracle ASAP for more details. The cost for a typical “Core” of processing power for an Oracle database infrastructure hovers in the low $30K range. Oracle licenses and maintenance comprise nearly 90% of the cost per core – See Figure 1. Optimize/balance processing and storage infrastructure. While using this approach will increase infrastructure costs per core by around 9%, it will reduce database license and maintenance costs by about 42%. Given that storage and infrastructure costs comprise single digits in terms of the total cost of deploying Oracle, spending a bit more on memory and storage will dramatically cut overall Oracle costs. In the example we used, spending $100K or so on beefing up server and storage cut about $2M off a three-year total cost of an Oracle deployment. The main advice for CIOs is get your organizational house in order. Because infrastructure budgets are often outside the purview of the application group and because the infrastructure pros have less authority when it comes to Oracle negotiations, no one is watching the Oracle fox run loose in the henhouse. Bottom Line: By getting the infrastructure people involved in optimizing the balance between processor and storage, with the explicit goal of reducing CPU I/O wait times, you may be able to save a boatload of money with Oracle and improve negotiations posture. What follows is a review and update of our previous advice for Oracle negotiations. Many people don’t realize the extent to which Oracle will discount. Oracle, like many software companies keeps list prices high and discounts to make the customer feel like they’re getting a ‘good deal.’ For larger deals ($2M+) we’ve seen discounts of 65%-70%. Even smaller deals can see discounts in the 50%-60% range. Maintenance is of course pinned to the initial license cost. Many users believe Oracle maintenance cannot be negotiated. This is not true, as we’ve seen pricing well below 20% and into the teens. Obviously this is again deal size dependent, but nonetheless maintenance rates can be brought down. Oracle is highly motivated to bundle as many of its hardware, software, database, middleware, and application solutions as possible to increase total contract value. If needed to keep contract values increasing, Oracle will provide attractive incentives for unlimited licenses. Aggressive license discounts will ripple through to lower maintenance costs. Of course you must do the math to ensure unlimited makes sense. Conventional wisdom in negotiations says wait until the end of a quarter to transact business with any vendor. It’s not necessarily the wisest move with Oracle. Unless you have a large deal (e.g. $2M and up), this is a mistake. The best strategy for CIOs with Oracle transactions of less than $2M is to negotiate hard early in the quarter, when sales reps have more time and are more willing to build pipeline. Otherwise you won’t get their attention. Negotiate maintenance and license fees at the same time, while you still have leverage. If you wait, Oracle will have no incentives to cave. 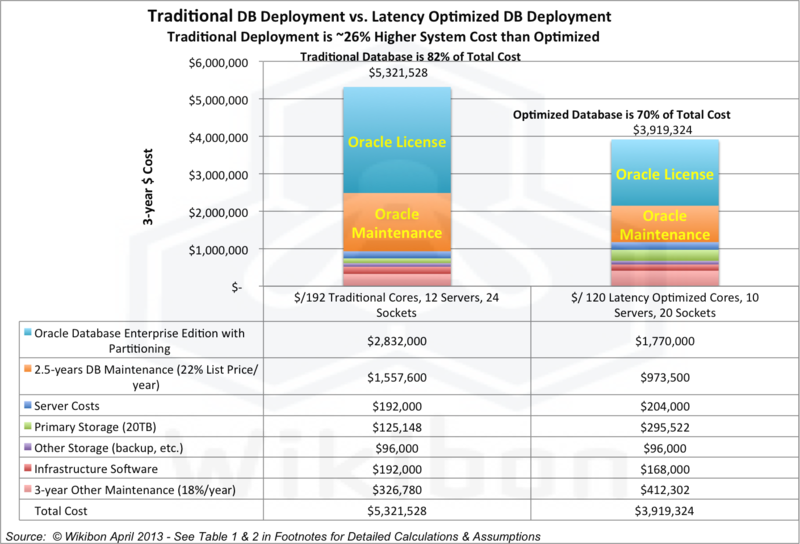 Note: While Oracle is less willing to negotiate long-term maintenance discounts and flexible pricing (e.g. favorable forward pricing), often these terms are more valuable than up-front discounts, and users should negotiate hard in this area. Oracle sales teams intimately understand how to maximize revenue by “dividing and conquering.” Organizations should treat Oracle negotiations as important projects with objectives, goals, milestones, checkpoints, incentives, and measurements. Organize teams from business, legal, applications, IT operations, compliance, and procurement to make sure all constituents are coordinate and aligned. Oracle’s License and Service Agreement should be approached with caution. Oracle has a habit of bulking up the document with T’s & C’s that may not apply to your current deal. Users should insist that Oracle remove any tangential definitions and terms that do not apply to their specific transaction. In the mainframe days, customers would get steeper discounts from IBM if Big Blue knew an IBM competitor was in the running for a deal. IT leaders would make sure they leveraged IBM’s biggest competitor to get a better deal. Oracle will negotiate if it believes the deal to be competitive. IBM DB2 or Microsoft SQL Server pilots, as well as aggressive adoption of open source databases, will improve your negotiating leverage with Oracle. Oracle is acquisitive, so users should be smart about their existing relationships and licenses. Non-Oracle software contracts should state explicitly that their terms and conditions survive the sale of assets of the current vendor to any acquiring entity and that change of control does not alter the negotiated T&C’s of the current license. Oracle guidelines regarding testing and backing up data and apps are specific, and users that don’t pay attention to such items will be exposed if Oracle does an audit. Organizations must be in compliance, or Oracle will use the threat of an audit to get what it wants. The Oracle Ordering Document supersedes Oracle’s Master Agreement. Oracle, like many other software companies, doesn’t want favorable customer terms in a master agreement to apply to future deals. So it builds in flexibility by making the Ordering Doc the authoratative vehicle for transactions. Companies like Rimini Street, that perform third-party maintenance, often have deep expertise and can save a ton on maintenance costs. For kicks try the Maintenance Calculator. By applying these and other negotiating techniques, Oracle license and maintenance costs can be reduced substantially and budgets shifted to other value added activities. Action Item: Virtualization and optimization of processor and storage resources is a sound technical approach to reducing Oracle infrastructure and license costs. CIOs must view this as an organizational challenge in addition to a technology strategy. Because infrastructure pros are often not prominent inside Oracle shops, such an initiative requires leadership and clear direction, the result of which can be significantly streamlined operations.